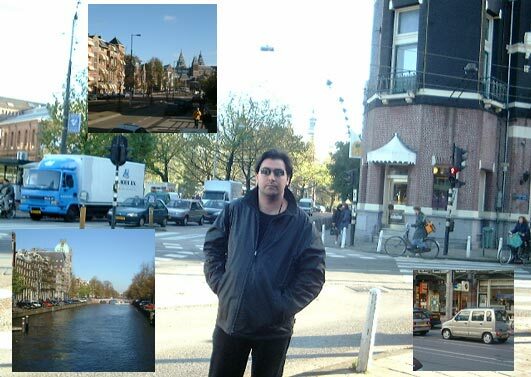 I am in Amsterdam now. Really really cool. Wow. I knew I'd love it and I was very right. Weather is nice, and I was walking around all morning. If you have not been here yet, it's tons of bicycles (mostly girls), tiny cars, even some mercedeses are smaller that Golf. City is small but nicely planned with canals and beautiful streets. Van Gogh Museum was impressive too, but Modern Art Museum sucked. Food is not that much different, but it's a lot of Pan Cakes, Knockwursts and Bacon. Stores are so much better here, compare to Boston it's like going to Macy's after K-Mart. Oh well I got to go. BTW my cellphone is not working [yet].